Half of family doctors don’t follow prediabetes screening guidelines. Does yours? The number of people with prediabetes has grown to 86 million in the U.S. That means 1 in 3 adults has blood sugar that’s higher than normal but not yet high enough for a diabetes diagnosis. Of that 86 million, 9 out of 10 are not aware they have the condition. If left untreated, prediabetes can progress to type 2 diabetes within 5 years for 15% to 30% of those at risk. However, with lifestyle changes such as weight loss, a healthy diet, and regular moderate intensity exercise, as well as medication when needed, people with prediabetes can lower their risk of developing of diabetes and the serious complications it can cause. What questions should you ask your doctor to ensure you get the screening you need? The first step towards ensuring you’re undergoing appropriate screening for higher than normal blood sugar levels is to talk with your doctor about your personal risk for developing prediabetes and diabetes. Depending on your personal and family health history, your doctor will recommend an appropriate screening strategy. What are the risk factors for prediabetes and do I have any of them? 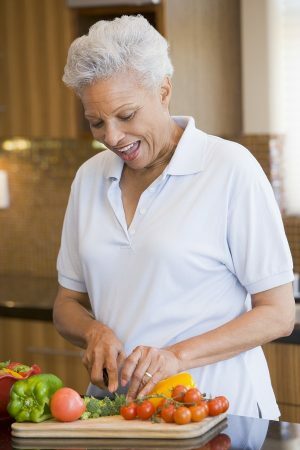 What steps can I take to lower my risk of prediabetes? What lifestyle changes should I make? Ask for specific diet and exercise recommendations that are appropriate for you. Do I need to take medication or can I try lowering my risk through lifestyle changes first? If medication is prescribed, what are the potential side effects? How often should I see you for follow-up and testing to check my blood sugar? Should I see a specialist, such as an endocrinologist? Does having prediabetes increase my risk of developing other health problems? If I’m already living with a chronic health condition like heart disease, what’s the best approach to manage both conditions effectively? A health advisor can also be a valuable resource if you’ve been diagnosed with prediabetes or diabetes. Your advisor can connect you with nutritionists, trainers, and other specialists who can help you develop and stick with a plan to get better control of your risk factors and improve your overall wellbeing, which can also lower your risk of developing other health problems.